Ever since Satoshi Nakamoto, whose identity remains unknown, created Bitcoin [BTC], the cryptocurrency boom has been rising as the year passes. Along with its boom, the technology it is based on also known as the blockchain has emerged as the fastest growing technology. With the promise of becoming the next Internet, the adoption of blockchain technology ranges from big companies to the most powerful countries. The main cause of Bitcoin [BTC] was to establish a decentralized digital cash system which uses a P2P network. This eventually led to the birth of more cryptocurrencies, each coin holding its own promise of changing a particular sector/ industry with its main agenda being creating a decentralized platform and giving the power back to the people. Up until now, there have been many countries such as Japan and South Korea which have openly accepted cryptocurrencies and other countries like China which have banned cryptocurrencies. This has led to a huge debate on a lot of social media platforms on whether to accept cryptocurrencies and make it the next fiat or not and whether it is safe to use currencies which are decentralized. As a part of this emerging conversation on cryptocurrencies, YouTubers have come out as the loudest voices in the space. Some of them stepped into the industry in the early stages and some of them joined along the way. With their quality content and differing opinions, they have been spreading the good word about cryptocurrencies. 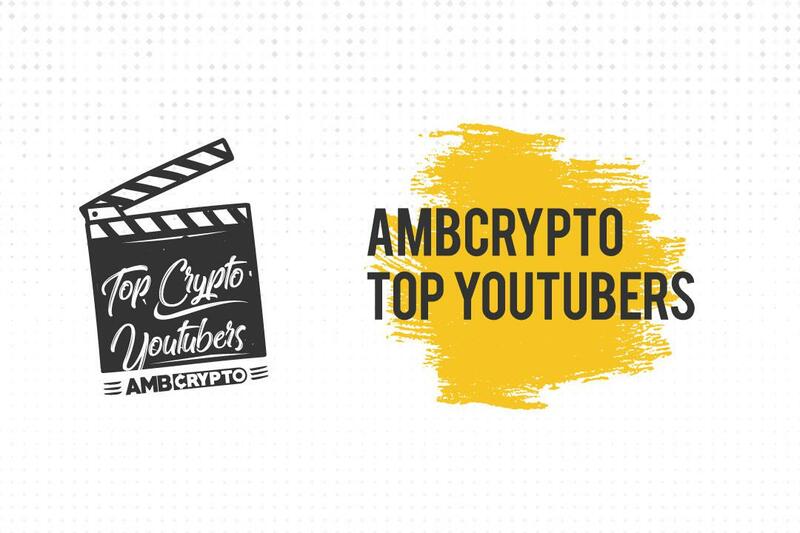 In order to reward such YouTubers and incentivize quality content, AMBCrypto launched a contest for all the crypto-YouTubers. Through this contest, we have collected the crème de la crème of crypto-influencers. Look through the list given below and try to find your crypto-tubers. Created and managed by Nicholas Merten, Data Dash is one of the leading cryptocurrency Youtube channel with 306K subscribers. The channel covers various aspects of blockchain and cryptocurrencies which could be comprehended even by a new crypto-enthusiast. With over 208K subscribers, Altcoin Buzz refers to themselves as the altcoin analysts and proclaim to be blockchain addicts. The rising crypto-tuber have a wide reach on Twitter, Telegram and other social media platforms setting their target towards spreading the crypto-virus through-out the world. With a simple idea of sharing their thought and opinion about altcoins and cryptocurrency, they have out-run other channels with thousands of views for every video uploaded till date. A channel set to take all the crypto-enthusiasts on a crazy cryptocurrency adventure with the latest trends on Bitcoin, Ethereum, and other cryptocurrencies. The channel has over 198K subscribers and is going through a rapid growth in terms of subscribers and views. The channel delivers all the information to its point in a short period of time and makes sure to convey the information to the end user in the simplest way possible. Created by a Software Developer from Sweden, Ivan Liljeqvist dedicates his channel to Blockchain Technology. He talks about the technology on various platforms and well-known cryptocurrency and blockchain technology. His dedication has led to over 178K subscribers on Youtube and each of his videos has more than 100K views. A Youtube channel started by a self-proclaimed average dude who loves taking about cryptocurrency and blockchain technology has over 144K subscribers. The channel covers all the topics from Bitcoin to Ethereum to altcoins and also covers cryptocurrency analysis. In addition, Crypto Bobby also has a huge following on all his social media handles. An American, currently living in New Zealand, turned into an educator with a great sense of humour. His whopping 77K subscribers has placed him on the top list of YouTube crypto-influencers. The channel provides the viewers in-depth reviews and interview which takes a deep dive into various coins, latest news updates and a high level of information which isn’t covered by anyone else. A channel with 57K subscribers is run by Quinten, a market enthusiast reviews various cryptocurrencies. He uploads interesting assort of ICO reviews, coin analysis, market updates, and interviews. In addition, Quentin is one of the few YouTubers who actually tracks the investments in his portfolio. The channel provides the transparency people want to see. Crypto Tips focuses on the emerging trends of Bitcoin [BTC] and other altcoins along with upcoming ICOs and new coins in the market. With over 45K subscribers, this channel has become one of the go-to channels for most of the crypto-enthusiasts. With its exhaustive and relevant content, the channel also proves that when it comes to a revolutionary change, women don’t just sit back and watch the game but instead run the show. A channel which goes by the quote, ‘The only way to make sense out of change is to plunge into it, move with it, and join the dance’ by Alan Watts. Crypto Nomad takes its 12K subscribers on a journey of new crypto-opportunities and investments. They are set to discover how to make cryptocurrency work for everyone. A Brazilian set out to become a part of the revolution by spreading the awareness of cryptocurrency and blockchain technology in his native language has gained over 20K subscribers on Youtube. This channel educated all the crypto-enthusiasts on how to earn money with the use of cryptocurrencies. Bitcoin Egypt focuses on delivering quality content to its 8.3K subscribers on topics from reviews of ICOs projects to trading of cryptocurrencies. The crypto-tube is managed by a crypto-trader and the channel also focuses on blockchain technology and cryptocurrency mining. Bitcoin Egypt is the channel preferred by crypto-enthusiasts who are looking to figure out how websites related to cryptocurrencies work. Love for crypto is a YouTube channel created for all the Ripple [XRP] enthusiasts in the cryptoverse. This channel’s main focus is on providing in-depth information and news related to Ripple. The channel covers exclusive interviews and news of the top-notch people in the Ripple fam and coin in itself. In addition, Love for crypto provides XRP analysis to its viewers. At present, the channel has over 2.6K subscribers and is growing rapidly day by day. A cryptocurrency channel with over 3.1K subscribers focuses on various topics from ICO reviews to the current state of cryptocurrencies in the market. The channel is over a month old and has videos which are mainly focused on alt-coins more than the top coins in the crypto-space. Despite being a month old, all the videos published on the channel have thousands of views. Another top XRP dedicated Youtube channel with over 4K subscribers. Digital Asset Investor covers everything related to Ripple and only Ripple. The channel is just a month old and has thousands of views mainly because of the quality content published in their videos. The channel has seen a growth from 100s to 1000s within a matter of days and is continuing to see a significant growth. A self-proclaimed crypto-warrior and defender of the Bitcoin has over 4.3K subscribers. The crypto-tuber is well-known for covering breaking news about cryptocurrency. It mainly focuses on latest news related to Bitcoin and Litecoin and also provides its user base with exclusive interviews. In addition, the channel also has reviews of the emerging ICOs in the market. A Bitcoin-centric channel which has over 15K subscribers is dedicated to helping people starts off with Bitcoin. The channel has a weekly update about Bitcoin and also covers general topics such as how to buy cryptocurrency and a video tour on how cryptocurrency websites work. 99 Bitcoins has educational videos about cryptocurrency as well which focuses on complex topics which are used on a daily basis in the cryptoverse. A French cryptocurrency youtube channel with over 2.6K subscribers at present is one of the leading French cryptocurrency Youtube channels. The channel covers all the latest news related to cryptocurrency and promotes the fundamental rules cryptocurrency is set on. The channel is managed by cryptocurrency enthusiasts whose main aim is to provide information about the up-to-date situation of cryptocurrency in the market and reviews about the most promising ICOs’ in the market. The channel is run by Kapil Tailor, an Indian crypto-enthusiast who works tirelessly to bring about a global change in India by covering various topics related to Bitcoin, Ethereum and other cryptocurrencies in Hindi. The channel has grown over the past few months and currently has 3.5K subscribers. In addition to this, Ethereum Mining setup India is a channel dedicated to Ethereum mining and latest news in the cryptoverse. Created by two engineers from Sweden, Niklos, and Fibian, the channel has seen a growth to over 2K subscribers. The creators of the channel are known to be cryptocurrency and blockchain technology enthusiasts. The channel provides key information about cryptocurrencies as a whole including the economics side of it and not just the technical side. Cryptonomics provides its users with information about the latest trends in the market. This is all for now from our side. If you think we missed out on your favorite cryptocurrency Youtuber, do let us know on the comment section below. Lisk [LSK] Testnet is just three days away – Migration guide released! Standard Chartered and Alibaba launch cross-border remittance service, Ripple at risk?